The CLAN Landmark Walk is a sponsored walk which takes in various sights around Aberdeen. 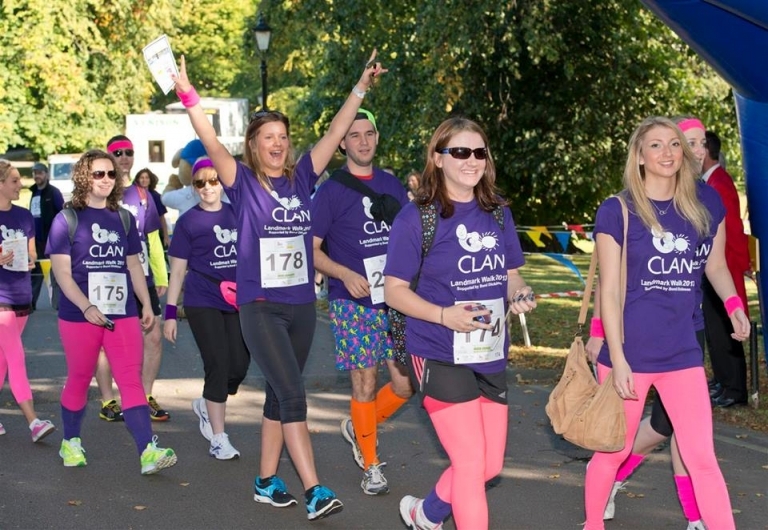 Walkers are signing up in their droves as preparation gathers pace for CLAN Cancer Support’s annual Landmark Walk. The charity’s popular walking event, sponsored by Bond Dickinson, is returning on September 27 and will feature two routes of either 13 or 7.8 miles, taking in a variety of prominent sights throughout the city. CLAN is now appealing for marshals and volunteers to come forward to help with a range of activities on the day itself. An array of roles are available for those able to give up some time to help the charity, from handing out water to manning junction points and giving out medals and goody bags. “The Landmark Walk has grown into one of our biggest fundraisers of the year and we are all really looking forward to it. We rely on the generosity and kindness of our volunteers who enable events like this to go ahead, and hundreds came forward last year to help us out. This was absolutely incredible and is something we are hoping to repeat. Based in Aberdeen, the charity covers the whole of north-east Scotland, Moray, Orkney and Shetland. CLAN has a presence in Ballater, Banchory, Elgin, Inverurie, Fraserburgh, Peterhead, Stonehaven, Turriff, Kirkwall and Lerwick.